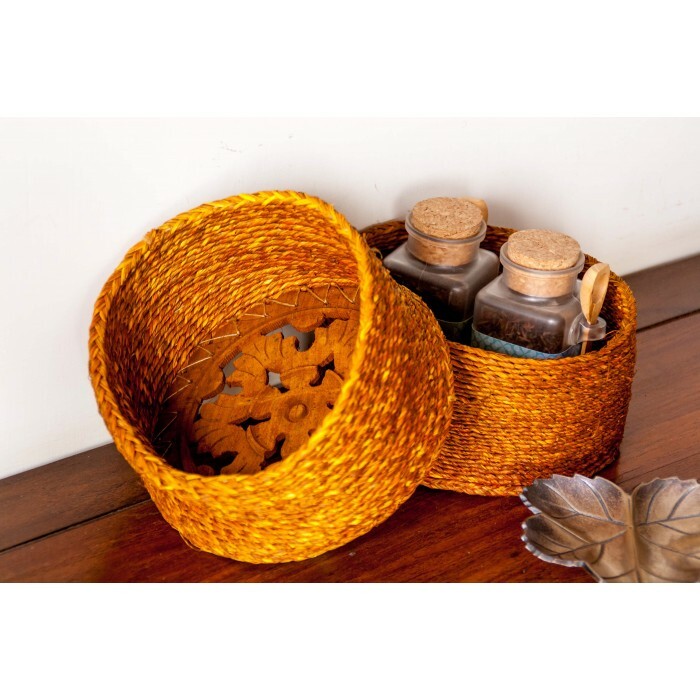 The fine blend of sabai grass and carved wood with a crafting technique gives such a beautiful .. The fine blend of sabai grass and carved wood with a crafting technique gives such a beautiful dagra with rich look. The colour and finish makes it very attractive.